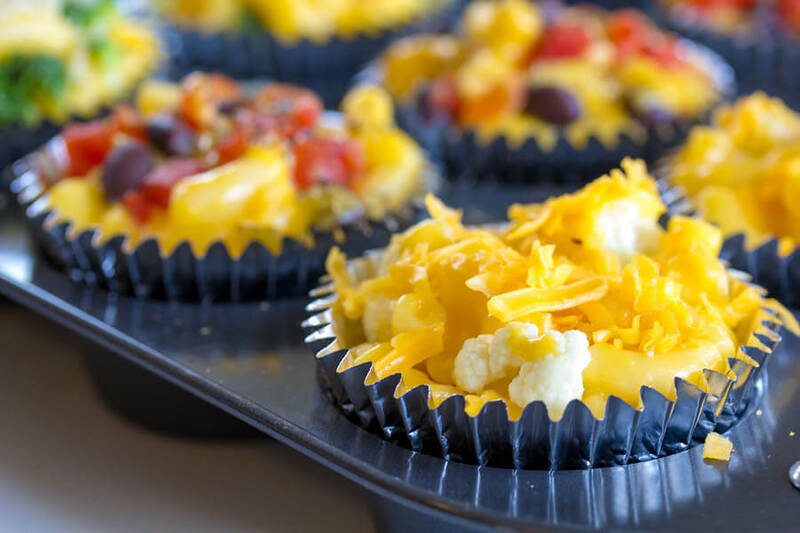 Start with frozen macaroni and cheese then dress it up with fresh veggie stir-ins and tasty toppings to make family-friendly Veggie Mac and Cheese Muffins. Thank you to Balance Your Plate with Nestlé for partnering with me on this post so I could share a fun way that my family loves to “Balance our Plates” with Stouffer’s Mac and Cheese. The recipe and opinions are my own. We are a mac and cheese family. Frozen, boxed, homemade, from a restaurant…you name it and we are eating it. That’s why when my friends at Nestlé contacted me about creating a recipe showing how I like to “plus up” my meals using one of their products my brain didn’t even hesitate to go immediately to their mac and cheese. Mac and Cheese Muffins to be exact! I love looking for convenient solutions for busy parents wanting a wholesome family meal. 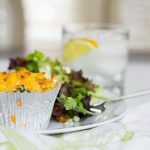 There are many recipes that I make from scratch, but there are times that starting with a wholesome prepared ingredient and giving it my own special twists is just right. As busy moms (and dads) who just want to do right for our children by feeding them the best meals that we can, we don’t always have hours to make from-scratch recipes. 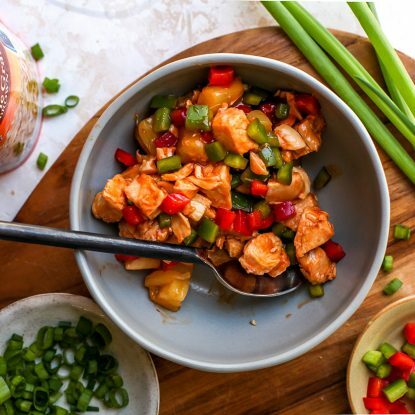 Plus, when there are convenient frozen options in the marketplace that are delicious, use real ingredients (I’m not into the fake and artificial stuff) and are affordable, then why not take some pressure off ourselves and add them to the dinner rotation? It just makes sense! 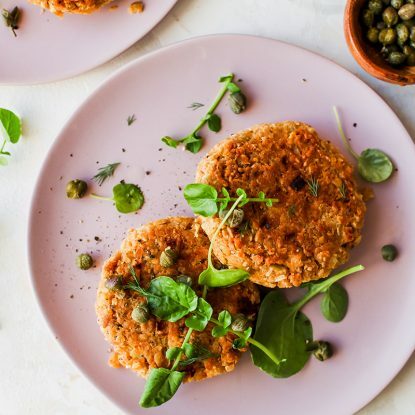 One thing to remember is that when you are using a frozen entree (or making a homemade one) you want to be sure to “Balance Your Plate” so that a variety of food groups and nutrients are represented. 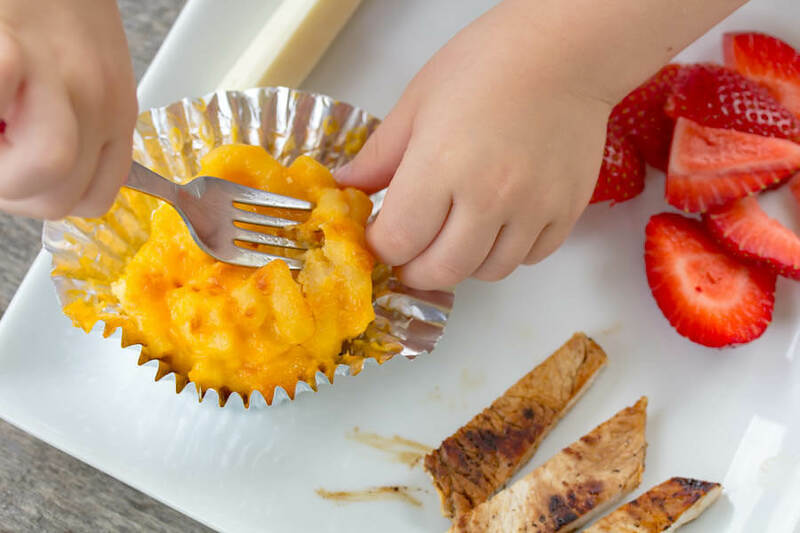 Balance Your Plate helps busy families create nutritious, delicious and convenient family meals by pairing a frozen entree like mac and cheese with fruits, vegetables, and lean protein. I aim for at least 4 of the following foods per meal: a vegetable, a lean protein source like chicken, turkey, fish, lean pork cuts or lean beef, a dairy source, a grain (whole grain if possible) and/or a fruit. 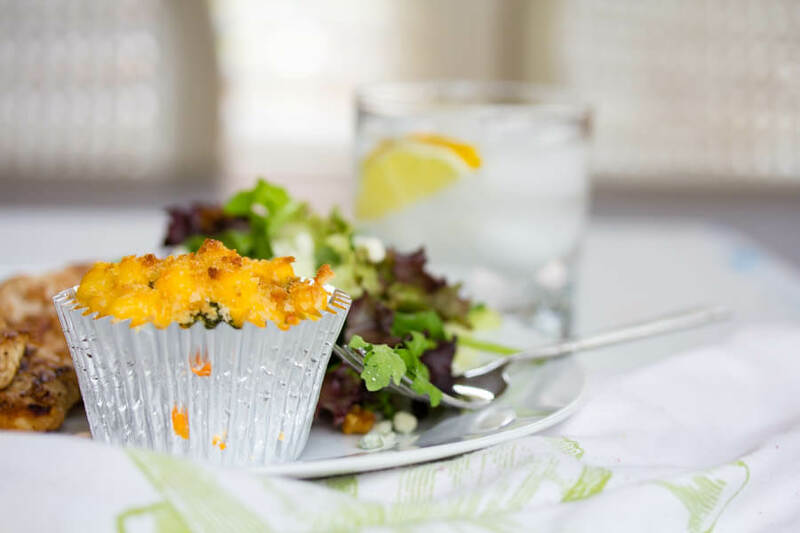 That’s why I added vegetable stir-ins to these Veggie Mac and Cheese Muffins and paired them with a salad (with nuts and fruit) and turkey cutlets. 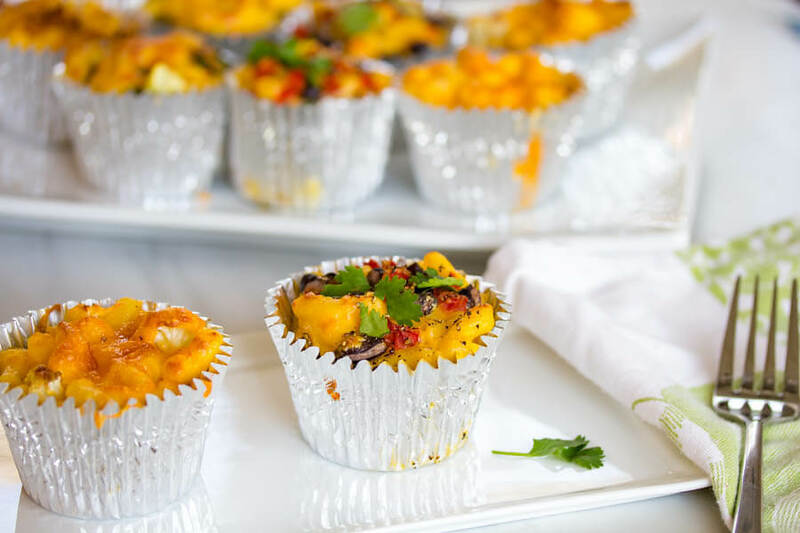 Here’s how easy these are to make and, more importantly, how your family can customize these mac and cheese muffins with their favorite stir-ins. Try to offer at least 3 or 4 stir-ins and at least 1 topping. 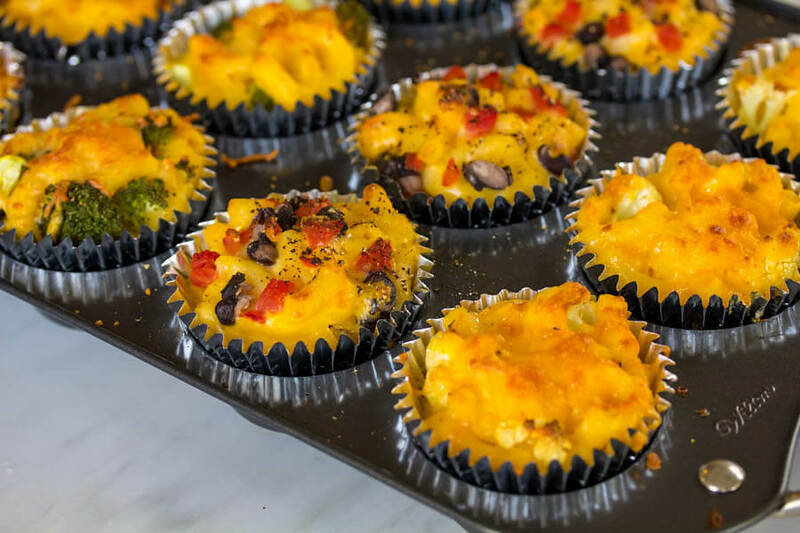 Spooning the mac and cheese into the muffin cups, cracking and stirring eggs into the mac and cheese, and creating their own special muffins are just a few ways my girls like to help me create this dinner. 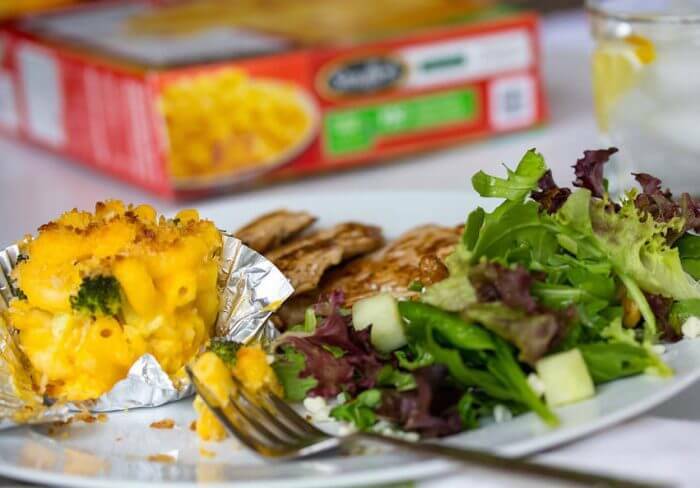 Find out where to buy Stouffer’s Mac & Cheese then visit the Balance Your Plate Pinterest board for more meal inspiration! 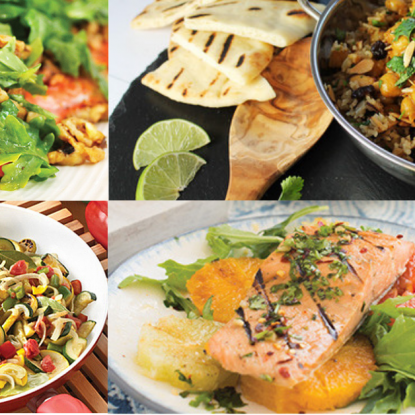 For additional meal plans and nutritional resources, visit the Balance Your Plate with Nestlé website. Prepare mac and cheese according to package directions. I prefer the microwave method to cut down on time. While mac and cheese cooks, prep stir-ins (chop veggies, drain beans, etc.). Allow mac and cheese to cool slightly (about 5 minutes) then stir in eggs. Fill 12 muffin cups with muffin liners (or spray empty cups with cooking spray). Fill muffins half way, add 1-2 tablespoons of stir-ins then fill muffins with reaming mac and cheese. add 1 tablespoon more of stir-ins then top with 1/2 -1 tablespoon topping.Bake at 350 degrees for 30 minutes. Pair with a green salad topped with nuts and fruit and roasted turkey cutlets for an easy, balanced meal. Enjoy! What a fantastic way to portion control mac n cheese! We are a mac n cheese family too! Love these ideas! These are SO cute. Also a great way to incorporate more veggies! I love this idea! This would be so perfect for a party! I’ve been dreaming about these ever since I saw them on Instagram! Such a fun idea, and a great way to get in some additional veggies. Yum!! Thank you! We’ve had fun with them! Let me know if you try them! These are so cute! I bet my girls would have a blast eating these up! They would come up with delicious combinations! I love this idea. I am always looking for things I can fix ahead so I have something I can pull out quickly on days that are too busy to cook. This sounds yummy to boot. Thank you! I’m the same way–the faster the better (especially when yummy ingredients are involved)!